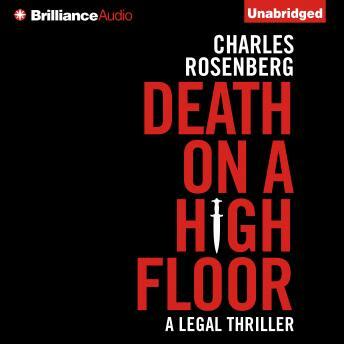 On the eighty-fifth floor of a glittering high-rise in Los Angeles, Robert Tarza steps into the lobby of the Marbury Marfan law firm to discover his partner Simon Rafer lying in a pool of blood — an ornate dagger plunged into his back. Robert had worked with Simon for decades, and their relationship was fraught with conflict. But he never imagined he would wind up as the prime suspect for his colleague’s murder. As the evidence stacks up against him with frightening speed, he quickly falls from his respected position to that of a criminal dragged through the tabloids. With a growing suspicion that he’s being expertly framed, Robert digs into the evidence to clear his name. In the process, however, he uncovers a web of fraud among his closest associates. As time runs out, Robert must uncover the real killer or be prepared to go to prison for murder.